Blood Orange Kiwi Margaritas | Simple Homemade Tropical Citrus Margs! 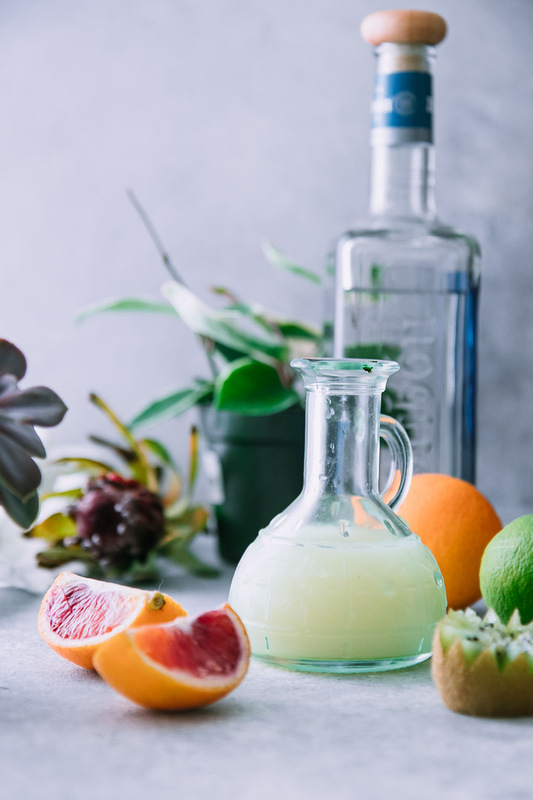 Blood Orange Kiwi Margarita, a homemade margarita recipe with fresh lime, blood oranges, and kiwi for a tropical take on cocktail hour. This margarita recipe was first posted in March 2017 and updated with new photos in January 2019. This time of winter is when we start pining for warm-weather foods. January comes around and we’re tired of squash, we’re missing summer fruit, and we’ve had it everything pumpkin spice. Thankfully blood oranges are a bright spot in winter harvests. Seeing these tart little citrus fruits in stores in January and February is a highlight in my year, I look forward blood orange season after the holidays have died down and we’re in the thick of winter. You too may be a blood orange aficionado, but have you ever experimented with blood orange margaritas? 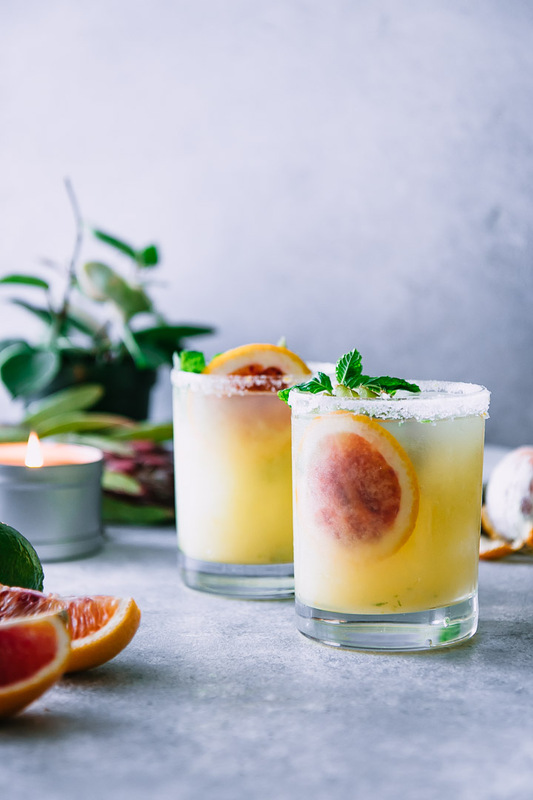 The tart and sweet blood oranges are the perfect addition to a traditional margaritas and the addition of tropical kiwi is a fun way to celebrate the coming of winter tropical fruits. What better way to celebrate than with a cocktail? 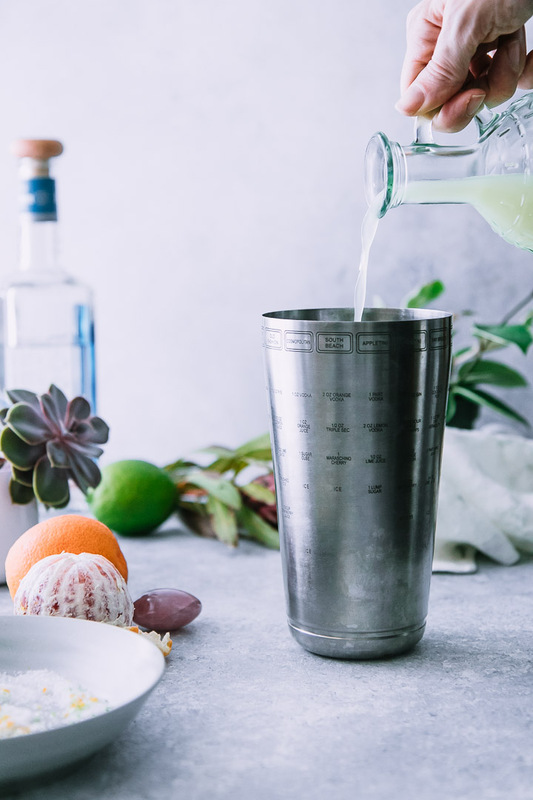 Are you ready to learn how to make this simple, 10-minute winter citrus margarita? Let’s do it! 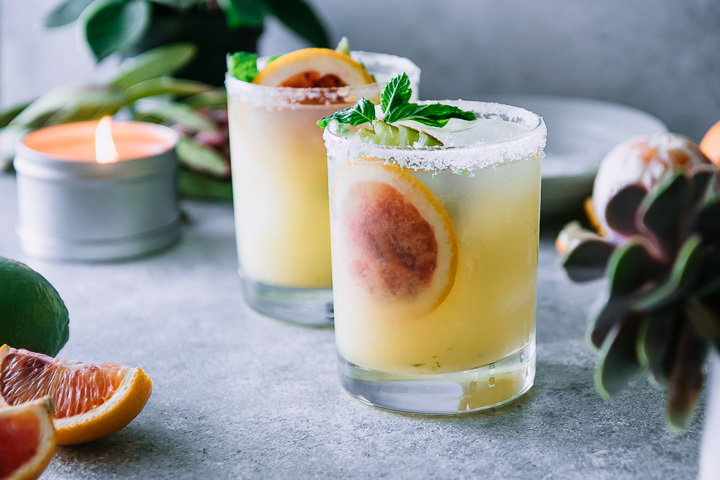 This is the perfect citrus margarita recipe to take advantage of the winter months’ blood orange and tropical kiwi harvest, and it also happens to be super easy to make. First, combine tequila, triple sec, fresh lime juice, and a splash of orange juice in a cocktail mixer. Shake well and pour over a glass with ice cubes a salted rim (I like to add a bit of blood orange and lime zest to my salt to kick up the flavor). Top with pomegranate a slice of blood orange, a wedge of kiwi, and a sprig of mint, and enjoy. Add a twist: for a bit sweeter margarita, add a splash of agave syrup or simple syrup. 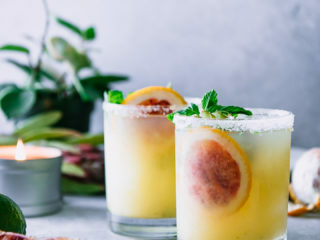 I use a splash of orange juice in my margaritas instead of sweetener because it smooths out the tart taste from lime juice, but if you like a sweeter drink then add a bit of simple syrup or agave. I hope you enjoy this easy winter margarita recipe as much as we do! For more winter cocktails check out our Spiced German Gluwhein and Perfect Pomegranate Margarita recipes, both great choices for your next cocktail party. 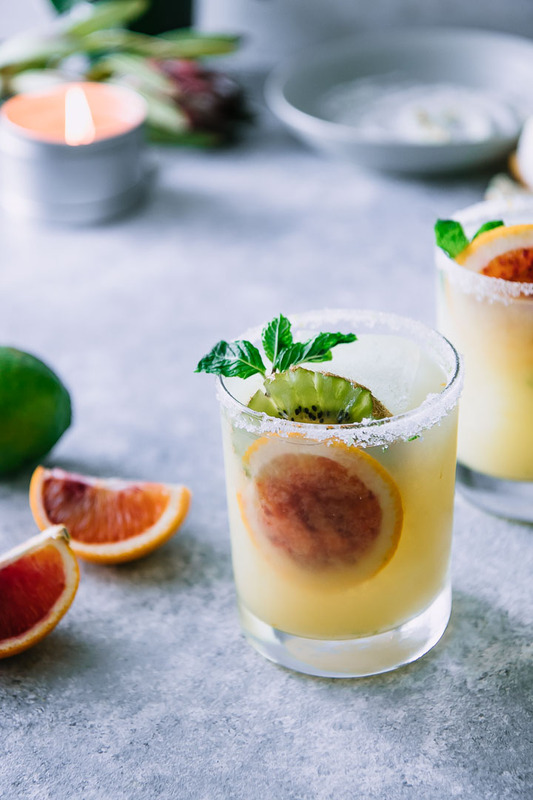 Did you make this Blood Orange Kiwi Margarita recipe? Leave a comment below and rate the recipe to let us know how it turned out. 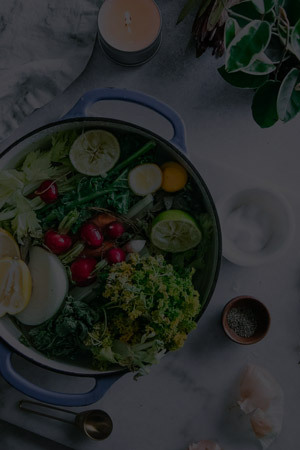 Save this recipe for later by pinning to your favorite winter Pinterest board and make sure to tag me on Fork in the Road’s Instagram to show me your cocktail creations! For Blood Orange Kiwi Margaritas: combine triple sec, lime juice, orange juice, tequila, and agave in a cocktail shaker with 1 cup ice. Shake well to combine. To salt rim: combine salt, orange zest, and lemon zest on a small plate. 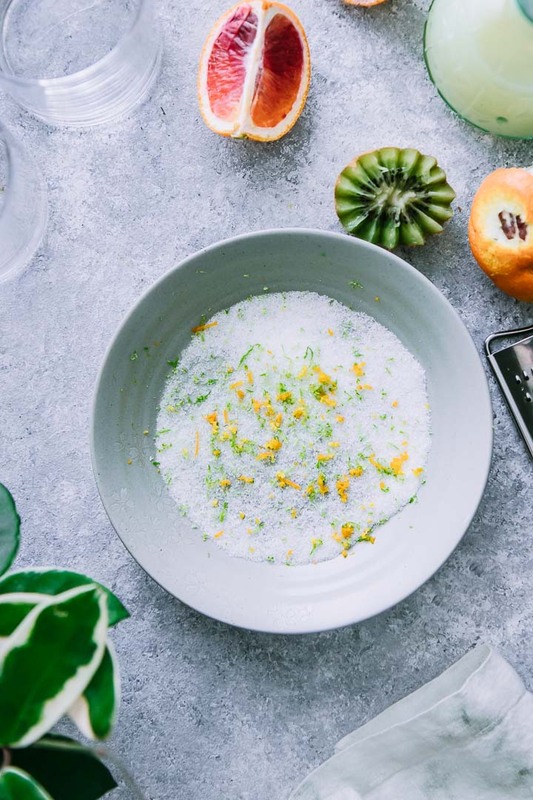 Wet rims of glasses with lime wedge and then place glass rim down into zesty salt mixture. To serve: fill rimmed cocktail glasses with remaining ice and pour margarita from cocktail shaker into glass. Top with blood orange slice and kiwi wedge and enjoy! For pitcher of Blood Orange Kiwi Margaritas: combine triple sec, lime juice, orange juice, tequila, and agave in a large pitcher. Stir well to combine with a wooden spoon, then fill pitcher with ice. To serve: fill cocktail glasses with remaining ice and pour margarita from pitcher into glass. Top with blood orange slice and kiwi wedge and enjoy! Nutrition: Nutrition information is calculated for margarita without agave syrup and salted sugar rim. A margarita is a treat, it is not supposed to be a health food (so my professional recommendation is not to concern yourself with the nutrition in a margarita). However, this homemade margarita is low in added sugar compared to many pre-made mixes. wow, this was really good! i had a bunch of blood oranges leftover and i wasn’t sure what to do with them so i made these margaritas. i added a bit more agave because i like sweet drinks, but otherwise the rest was as the recipes says. i’ll definitely make them again. I’m glad you liked the recipe! It’s now my favorite winter happy hour drink. Cheers!